Strong stability preserving (SSP) high order time discretizations were developed to ensure nonlinear stability properties necessary in the numerical solution of hyperbolic partial differential equations with discontinuous solutions. SSP methods preserve the strong stability properties—in any norm, seminorm or convex functional—of the spatial discretization coupled with first order Euler time stepping. 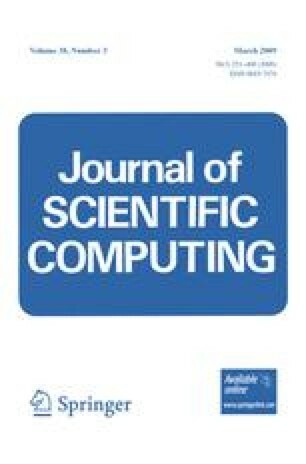 This paper describes the development of SSP methods and the connections between the timestep restrictions for strong stability preservation and contractivity. Numerical examples demonstrate that common linearly stable but not strong stability preserving time discretizations may lead to violation of important boundedness properties, whereas SSP methods guarantee the desired properties provided only that these properties are satisfied with forward Euler timestepping. We review optimal explicit and implicit SSP Runge–Kutta and multistep methods, for linear and nonlinear problems. We also discuss the SSP properties of spectral deferred correction methods. The work of S. Gottlieb was supported by AFOSR grant number FA9550-06-1-0255. The work of D.I. Ketcheson was supported by a US Dept. of Energy Computational Science Graduate Fellowship under grant DE-FG02-97ER25308. The research of C.-W. Shu is supported in part by NSF grants DMS-0510345 and DMS-0809086.